If you are like us you are probably a bit sick and tired of politics. and politicians. and elections. Backstops (was that even a word 6 months ago! ), Indicative Votes, Red Lines, Deal or No Deal, Nothing Has Changed…. The May 2nd Elmbridge Borough Council elections are actually ‘quite interesting’…. (stay with me). In recent years control of Elmbridge Council has been a bit like pass the parcel. In 2016, following the boundary changes and reduction in numbers of Councillors to 48, the various Residents Association groups wrestled control from the Conservatives by forming a coalition with the Elmbridge Liberal Democrats (the so called Coalition of Coalitions) by winning 26 seats between them compared to the Conservatives 22 seats. 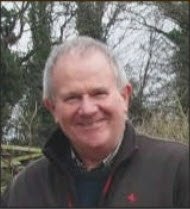 2018 saw a Conservative resurgence which resulted in the Council split completely with the Conservatives on 24 seats and the Residents Associations and LibDems on 24 seats which resulted in the then leader of Elmbridge Council, Stuart Selleck of the Molesey Residents Association, handing back control of the council to the Conservatives. 12 months on and the swing of a single seat would hand control of Elmbridge Borough Council straight back to the Residents Associations and Lib Dems (assuming they again sought a coalition agreement). Individual votes really do matter….it’s that close. 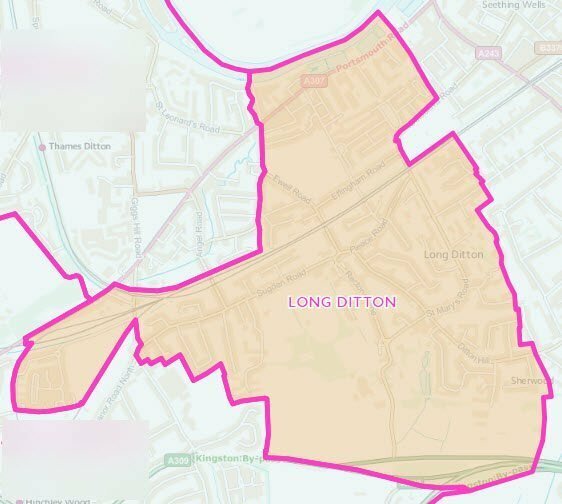 Long Ditton where last year Barry Fairbank (Lib Dems) held off a strong challenge from Claudia Riley-Hards (Conservative) to hold the seat by just 8 votes! 1019 vs 1011. 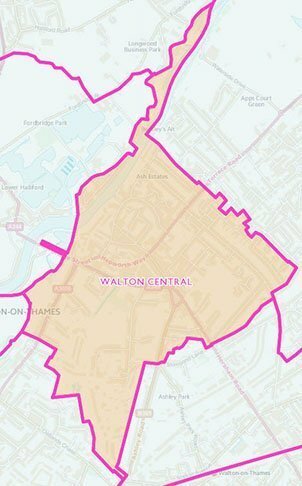 Walton Central where Christine Richardson (Conservative) took the seat from Graham Woolgar (The Walton Society) with 1020 vs 947 votes. This is definitely a king maker among wards and my prediction is whichever party wins this seat will end up controlling the council. Make no mistake the 2019 Elmbridge Council Elections promise to be just as close. Before we start on who is standing I would like to open by saying that it’s sad to note that there is no representation by the Monster Raving Loony Party who always bring a measure of light hearted humour to proceedings. Rest assured we will be contacting Baron Badger, Monkey and Chinners for their views on this years candidates. 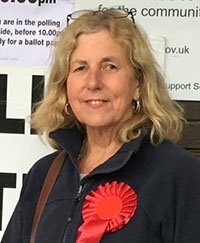 Another notable omission from the lineup contesting Hersham Village ward is regular candidate Olivia Palmer – this may potentially be on account of an ongoing suspension from The Green Party who she has regularly represented at Borough and Parliamentary level over the course of the past few years. It’s also very clear that UKIP are contesting far fewer seats than in previous years, fielding just 2 candidates in 2019, compared to 5 in 2018 and 9 in 2016. In this election the Conservatives will be defending 9 seats, the various Residents Associations 5 seats and the Lib Dems 2 seats. 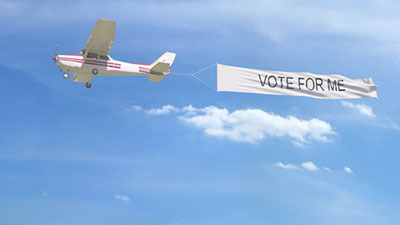 What will be at the forefront of residents minds as they approach the ballot box on May the 2nd? Will there be a local Brexit backlash against the national parties of Conservatives, Labour and LibDems? Has trust been lost in the Residents Association ‘Keeping National Politics out of Local Government’ mantra after their coalition with (national political party) the LibDems for two years following the 2016 Elmbridge Council Elections? Will memories of the last Residents Association/LibDem coalition administration shamefully locking families out of public tennis courts and the bin collection debacle influence this years voting behaviour? 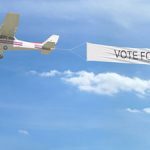 Will concerns about Conservative led Surrey County Council’s response to their various consultations on essential public services be at the forefront of residents minds and have a bearing on who gets your vote in the borough council elections? Whatever the colour of your favoured rosette please do get out and vote, it promises to be very close again so please ensure you have your say – turnout in the 2018 Embridge Borough Council elections was a paltry 37.5%! Election Day is Thursday the 2nd of May and polling stations are open from 7am to 10pm with results being published throughout the afternoon the following day (Friday the 3rd). While you’re here – why not join the Elmbridge Residents Facebook Group for all the news on whats going on right across Elmbridge! Click on the name of the ward you are interested below and you’ll jump right to the relevant section showing details of the ward and who is standing this time around. We will be adding individual candidates full manifestos as and when we receive them. I am a painter and decorator, I’ve lived in West Molesey for 30 years though I was brought up in Hersham. I am married with two children. I have been involved in the local community , running children’s football teams and assistant Explorer Scout leader. I first became politicised by the injustices surrounding the Falklands War and the miners strike. I am an internationalist and a proud European as well as being a patriotic British citizen. I have strong labour values and should I be elected I will apply those values to all the issues facing the residents of Claygate. Safeguard our Green Belt and Environment. Claygate, our green and pleasant land. Let’s keep it that way. I am committed to protecting our Green Belt and conserving our common, open spaces, trees and woodlands. Make Claygate Even Safer. I will support our local police to help tackle crime and anti-social behaviour. I will promote Claygate Neighbourhood Watch. Improve our Roads, Pavements and Transport. I will continue to push Surrey and Thames Water for repairs. I will press South Western Railway to improve their service. Uphold Vital Community Services and Champion our Local Businesses. I will vigorously support funding of community services, including the Centre for the Community and Meals on Wheels. I pledge to promote a vibrant social, business and retail environment. Press for More School Places. It is imperative that enough school places are available locally. I will work with our Surrey Councillor, parents, and schools to make this happen. 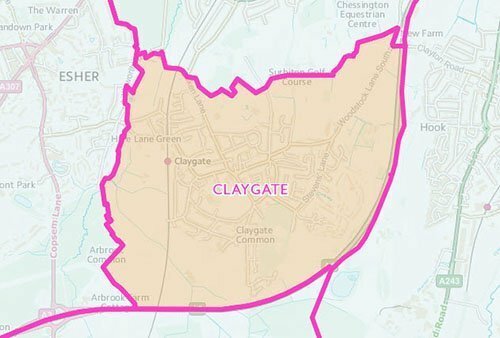 Stand up for Claygate’s Interests. I’m fortunate to call Claygate my home. Year round, I am accessible, listen, and take action to solve YOUR problems. Elmbridge Borough Council is developing its new Local Plan. This will determine where new homes should be built. We need more housing, accompanied by new infrastructure – school places, roads and health care facilities. I played an instrumental part in the rejection of the unauthorised development on the Green Belt’s 40 Acre Field – I will continue to robustly oppose any development on Claygate’s Green Belt. The Conservative’s new Local Plan will not include building on our Green Belt. We will provide homes for our community without sacrificing our local environment. Mark moved to Claygate in 2007, which is a gem of a Village and a great place in which to live and work. He brings extensive financial experience from his previous business career. He’s been a Parish Councillor since 2013 and is involved in many local community and voluntary organisations. He’s a problem solver, partnering to get things done; is not afraid to challenge and campaign for the good of our Village; does his best to ensure local needs are recognised and seeks funding for local initiatives. 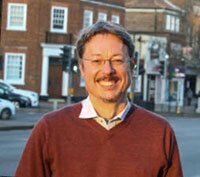 Mark works on a wide range of issues such as caring for the young and elderly, planning, roads, school places, public transport, recycling and fly-tipping to make our Village an even better place. 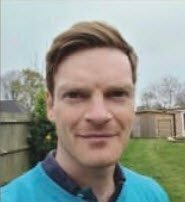 His active involvement in the Claygate community has given him a clear understanding of villagers’ concerns and priorities and the opportunity to resolve a broad variety of local problems. Mark will continue to fight to preserve our Green Belt and resist inappropriate development. He will partner with the local police to help make our Village even safer. He is committed to protect funding for our critical voluntary services. He will work with our Conservative team at Surrey to fix our roads and pavements, improve transport services and address parking issues. I believe that it is vital that we protect our Green Belt. We have several areas of Green Belt in Cobham. Just imagine 600 to 1000 new houses built on the area between Cobham and The Fairmile on the Portsmouth Road! The whole area concreted over not to mention the extra strain on our GP surgery, our local schools and our road system. These ‘green lungs’ are essential to keep separation between villages and towns and they also help reduce pollution. I will certainly do everything I can to prevent development on this and other Green Belt sites. 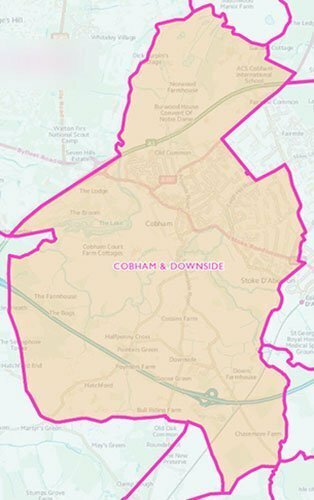 Dear Cobham Resident, As your Councillor for the last 36 years I have always worked hard in the interests of all the people of Cobham. It has not, on occasion, been easy since residents are often divided in their opinions, however I try my best! Last summer I was made Chairman of The Traveller Working Group at Elmbridge. In recent years we have had many Traveller incursions and the law as it stands has not allowed us to deal with these as we would wish. Last summer in desperation I contacted a national newspaper and they spoke to business owners and some local residents. The story spread to other national papers and at the same time Elmbridge officers were preparing a case for the High Court to request an injunction to prevent travellers from staying on public land. We won that injunction which lasts for 3 years. This means that they can be moved on quickly or face arrest. The police have assured us that they will support this. In the meantime the working group are putting in place extra security on all our sites and we are working with SCC and other Boroughs to find some proper Traveller sites. This is an excellent example of the community working together and what can be achieved. The government pressure on house building is making planning much more difficult as we have seen by some recent appeal decisions. Sadly the choice is one between more flats and higher density or our Green Belt which is precious for so many reasons. I am asking you for your support on May 2nd so that we may have a strong administration for Elmbridge and so I may continue to progress the work mentioned above. Protect our Green Belt from development. These areas are the vital ‘green lungs’ for our environment. Stopping Unauthorised Encampments. I will work with other authorities to find suitable sites in Surrey. Support our Chatterbus. This has become so vital for our town by providing an essential service. Keep putting pressure on central government. To put more money and thought into our infrastructure as a result of increased housing demand. Support for our local charities and voluntary groups. These provide such valuable services to our residents. I am standing in Cobham and Downside. I’m general manager of Cobham Area Foodbank. As well as pointing out that the Tories’ Universal Credit has increased demand on our food bank by over 50% since UC came in at the end of November, I am campaigning to stop the night closure of Painshill Fire Station. I and my husband moved to Cobham almost seven years ago and we enjoy being part of a wonderfully varied community. Joining local clubs and organisations has given us and our children the opportunity to involve ourselves in all aspects of Cobham and Downside life. The contributions of organisations like Cobham Heritage, Cobham Chamber of Commerce and the CDRA to the improvement of our community make us realise we are privileged to live here. We have a responsibility to do all we can to protect our home and heritage for future generations. My party has grown rapidly in the last year under our leader Gerard Batten, MEP, with sensible and common-sense policies. 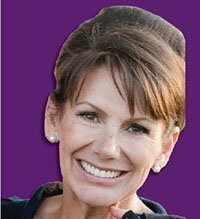 I am proud to represent a party that defends freedom and democracy and speaks clearly and openly about the difficult issues and problems that confront us at national and local level. Crime increases dramatically in our area and beyond, but investigating things like burglaries and vandalism seems regrettably not to be a priority for our local police. We need to feel safe in our homes, especially the elderly and vulnerable among us, and irrespective of the shortcomings of national policy in this regard there is no reason why these issues should not be prioritised on a local level. Our council tax increases year on year and we should expect good and better policing for our money. UKIP wants to address this urgently. Increasing and denser housing developments will add to the number of residents. Elmbridge is required by central government to build many hundreds of new homes each year. We must recognise that this will put pressure on our doctors’ surgeries, schools and roads and will increase the difficulties we face in booking medical appointments, getting school places for our children and dealing with traffic congestion. 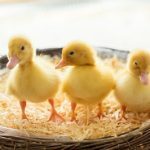 Progress inevitably involves expansion, but we must take great care not to let it endanger the quality of our daily life, our environment or wildlife, or the agricultural land which we depend upon to feed us. As farmers are forced to sell land to developers because they can no longer afford to make a living from farming it, we lose our local farms. UKIP’s policy is to support and protect our farming industry, locally and nationally. We can help do this by rigorously assessing every planning application that affects our Green Belt and making certain that every proposed inroad into it is justified. One of my priorities is the preservation of our small independent shops. Every increase in Business Rates makes it more difficult for independent traders to survive. Excessive rents add to the problem. Cobham High Street is the heartbeat of our village, where we all meet with local people, neighbours and friends. Empty and boarded-up shops are an eyesore and present a hostile rather than a welcoming face, the opposite of what life in a thriving village community should represent. We must develop a coherent strategy to preserve our high street. Litter makes me angry. It is dangerous to wildlife, makes a beautiful area look spoiled and ruins the landscape. Litter fines could be enforced as strenuously as fines for parking or driving offences, but they are not because they are harder to police. Civic pride needs to be at the centre of all communities, including our own, and taught in our schools if we want our children to care for the place where they live. Laura has lived for two decades in Esher and has witnessed enormous changes in the local environment during that time. Green Belt land has been lost and more is under threat courtesy of Jockey Club Racecourses’ proposed redevelopment of Sandown Park. Laura has several years management experience at one of the world’s leading museums and twenty years’ experience as a union activist. She has excellent communication, negotiation and persuasion skills and has a special interest in wildlife. She works with London Wildlife Protection as a rescuer. 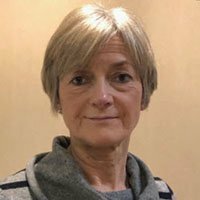 As a former Hospital to Home volunteer co-ordinator at Kingston Hospital, and having cared for a parent with dementia, Laura has a particular interest in representing senior citizens. The Conservative government have used Austerity to abandon many in society; while re-distributing money upwards. The rise in foodbanks and hollowing out of essential services such as Fire and Rescue, mental health, youth and many other services is a symptom of money that has been taken out of local hands and out of the economy overall. We believe this is a time for remodelling and reintroducing the services that are desperately needed. Green councillors will take a lead in creating services fit for the 21st Century to serve our residents. Conservative Surrey have been adamant that there is no climate emergency, and have kicked the can down the road, deferring an action plan for 2030, proposed by Green councillors, to 2050 when it will be significantly too late. This will set the mark for Conservative led boroughs across Surrey unless more Green councillors are elected. Greens have many environmental policies from protecting and re-wooding open areas, to providing cycle routes away from main roads, to stopping parked cars from idling, and supporting a better not a bigger Heathrow. Greens strongly support a viable flood alleviation plan to be implemented and not further delayed. It makes sense to vote Green on May 2nd for the common good. Protect the character of Esher. I’ll fight to ensure that new development enhances the character of our town and oppose development on our Green Belt. Making our community safer. I will fully support the Conservative Police Commissioner as he puts additional police into the front line and delivers our local Conservative campaign to increase visible police presence on our streets. Improve traffic congestion and pedestrian safety. I will build on the work that the Conservative Surrey County Council has started to reduce traffic congestion and make our roads and pedestrian journeys safer. Champion our local shops and businesses. I will be a passionate advocate for our High Street businesses. I understand the challenges they face and the importance they have to our community. Ensure value for money. The Council’s money is your money. I will strive to ensure that Council funds are spent efficiently and wisely so that residents receive the best value services. Communicate effectively. I will always be available by phone or by email to deal with residents’ concerns. I will communicate regularly with both newsletters and social media. 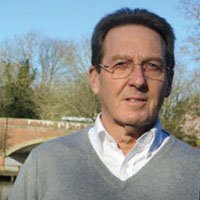 Richard has lived in Esher with his family for 25 years, having previously lived in Hersham. 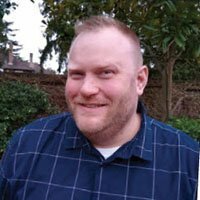 He has a passion for our area, believing it has a unique character worth preserving. 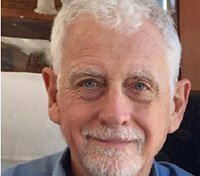 Recently retired, Richard worked in global telecommunications and consumer goods businesses, responsible for managing budgets running into hundreds of millions of pounds, leading hundreds of staff and overseeing large contracts. 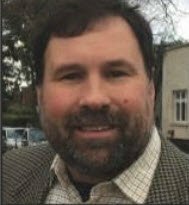 Tim Oliver is stepping down as one of Esher Ward’s three Conservative Borough councillors this May to focus on his new role as Leader of Surrey County Council. 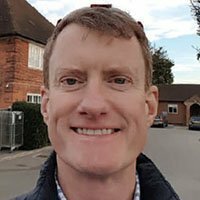 Richard is committed to represent the Esher Ward and its residents as their champion. Sandown Park is one of our country’s favourite racecourses and is at the heart of Esher. The Jockey Club has consulted on and recently put in a planning application for major development including over 300 new homes, a new hotel and improved facilities. Sandown Park is a significant attraction and makes a major economic and leisure contribution to our area BUT these proposals have potential to impact us all. I have been gathering residents’ views. Protection of the Green Belt and impact on our infrastructure are the major concerns. I will oppose any plans for excessive and intrusive over-development and am committed to protecting our Green Belt. 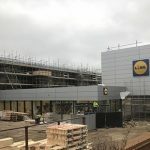 “Elmbridge Council is bracing itself for continued cuts in funding from central government at the same time as facing huge demands to build new homes and to look after an ageing population. Factor in Brexit uncertainty and it’s easy to see that we have never faced so much pressure on local resources. That doesn’t mean we should panic. However, we need to be truly innovative if we are to solve the problems that face us. It doesn’t mean giving in to inappropriate proposed developments, such as those at Sandown Park which would change the identity of Esher forever. charges to enrich the coffers a little. 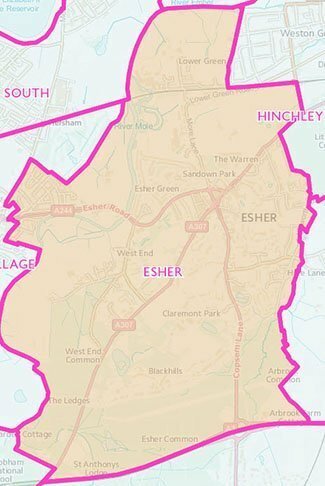 The Esher Ward stretches to Lower Green in the north and Hersham Riverside in the west. The residents of those vibrant communities feel they have been overlooked in the past and I will work hard as an Esher councillor to make them feel they really do belong. Richard Williams FRSA FCSD, a resident of Esher for ten years, founded two of the UK’s best known international design and innovation agencies. He has worked with disabled children, in Switzerland with the UNA and is now a Samaritans listening volunteer and mentor. 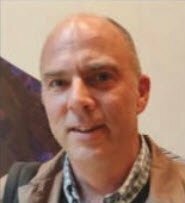 An active committee member of Esher’s Conservation Area Advisory Committee, he is deeply interested in our built environment. Richard has been training to be a trustee of the Lower Green Community Centre, a valuable neighbourhood asset. 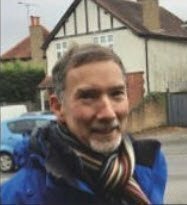 I will be your hardest working Esher councillor, ready to do battle on..
To make the High Street a success and improve life for many who work in Esher, we will stop the planned increases in parking costs and make parking more responsive to local needs. We need game changing solutions to bring in the independent retailers we all want. That means innovation around business rates and rent support and lobbying for transformed traffic management. Our vigorous opposition to damaging proposals for Sandown Park shows our unbending commitment to the Green Belt – matched by a drive to see the right new housing in the right places to meet our growing need for affordable homes. We have seen the attempt to force Citizens Advice and Relate out of their offices to create council parking. I will do battle for services that look after people when they are most in need. Trust in main political parties has reached a new all time low. Keep national party politics out of local government. Residents’ Group Councillors are consistent in their fight to protect the Green Belt and playing fields, unlike the Conservatives who profess support for the Green Belt at election time and then, all too often, vote for building on it – as they have done in the past, at Sandown Park. Residents’ Group Councillors are making Elmbridge greener and more sustainable through innovative ideas such as bottle refill schemes and reusable Boomerang Bags. Residents’ Group Councillors have pledged to ensure that well designed, affordable homes are built in the right places, such as former commercial premises in Lower Green, thus preventing over-development in low density areas. The need to improve and upgrade the infrastructure to cater for increased housing is paramount. The Conservatives continually raise parking charges and extend charging hours and this has had an adverse effect on shops, businesses and on people who work in the Ward. Elmbridge Residents’ Group Councillors will put a stop to 2020 and 2021’s planned increases, reintroduce free parking at certain times and make parking charges responsive to local needs. 80% of traffic in Esher is ‘through traffic’. Brave, innovative solutions are desperately needed such as changing the Ace of Spades Junction at Hook to prevent A3 bound traffic clogging up the town and approach roads. Esher Residents’ Association will work with Residents’ Group Councillors to address our traffic problems. Residents’ Group Councillors will maintain current services, investing in our assets and in property and reducing dependence on central government. Prudent budgets will keep Council Tax increases to a minimum. Residents Group Councillors vigorously protect our community assets, such as King George’s Hall, Harry Fletcher House, Lower Green Community Centre and Hersham Village Hall and champion vital charities such as Citizens Advice. I have lived in Hersham for nearly 40 years and work for a small local charity. In my spare time I volunteer at Hersham Library and for Meals on Wheels. I believe the impact of 10 years of austerity measures and cuts under this pitiful government is hitting councils hard all over the country and the pressure is even showing in our wealthy borough of Elmbridge. I would ensure the Council protects our public spaces, invests our taxes back into our communities by utilising social enterprise schemes with local traders and craftspeople; the Council invests in social housing; the Council creates opportunities for the children living in Hersham to be able to continue to live here in the future. 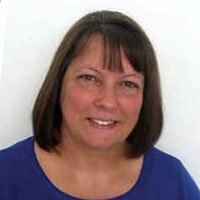 Mary was first elected a Borough Councillor in 2006, living in and representing the former Hersham North Ward. 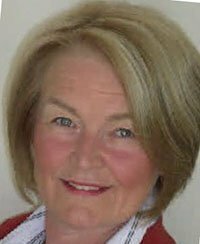 After her four-year term she was re-elected with an increased majority in 2010 and has effectively represented the residents of Hersham since then. 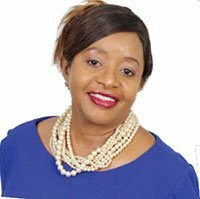 Throughout her tenure she has served residents faithfully and with distinction, drawing on her experience gained as a researcher, first for the BBC and then in marketing, to help in understanding local issues, and pursuit of problems to their ultimate solution. 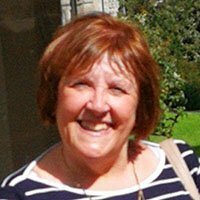 As a member of the Conservative Councillors Group, Mary served on the Council’s Cabinet as Portfolio Holder for Leisure and Cultural Services. 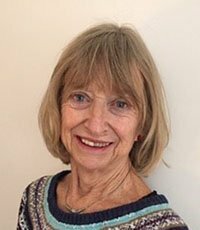 She was actively involved in Hersham Village Green, Coronation Recreation Ground and Hersham Recreation Ground, where she secured the Borough’s first Splash Park, 3 other play areas and numerous open spaces. She is particularly active in town planning as a member of the two planning committees. 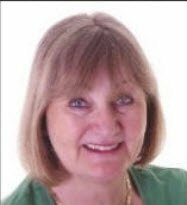 Mary is now seeking re-election to the Hersham Village Ward. 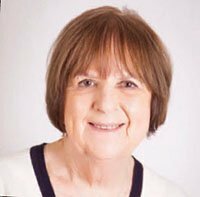 Mary said: “As a Hersham councillor I have worked hard to promote, protect, and preserve the community we all love. I have always represented residents’ wishes and concerns to the best of my ability. A duty yes, but a satisfying one when you can get a positive result. I am keen to keep up the good work and ask you for your vote on 2nd May. I have been active in every single issue affecting Hersham, embracing planning, development, local business, leisure facilities, Hersham in Bloom, housing, youth work and particularly the Centre for the Community and the re-opening of the Hersham Village Hall, to name but a few. These and others will command my best efforts if re-elected and I also pursue problems to get things done. Mary has a clear plan for Hersham, but she needs your support to deliver it. Helping the community. I am committed to ensure the Village Hall is re-opened as soon as possible, to complement the excellent Hersham Centre for the Community, a haven for so many. Protecting key services. Our Library, Youth Centre, and Children’s Centre provide vital services. I will protect these services to the best of my ability following the County Council’s proposed changes in the way these services are to be delivered to our community. New housing impact. 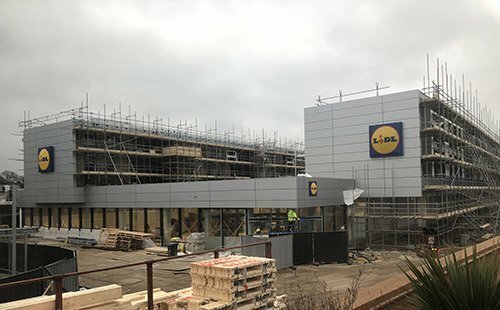 I will continue to help resolve problems for residents affected by building 296 homes on the site of the old Rydens School, plus Lidl supermarket and its 38 flats above. Safer walk to school. I will continue to seek safety improvements for children getting to and from school. I recently persuaded the Shopping Centre to install their own crossing in the approach to the Waitrose car park. Keeping Hersham attractive. Hersham has green spaces, play areas and free tennis courts, all helping to keep us a welcoming place. I will continue my contribution through Hersham in Bloom, providing colourful displays around the village. Traffic and speeding. I will keep up pressure on the County Highways Division to combat speeding long afflicting Hersham, focussing my efforts on Burwood Road, Molesey Road and Esher Road, which now has a feasibility study to assess what measures could be taken to increase safety. I have shared the frustration of so many residents at the long delay in deciding on the future of our much valued Village Hall, closed for nearly two years. The survey completed by residents confirmed the overwhelming wish to re-open the hall as soon as possible, perhaps with some refurbishment but most definitely with no housing on the site. With my fellow Hersham ward councillors I have pressed for this to happen and have now persuaded the Conservative administration to re-open the hall as it is. I will continue to scrutinise the progress, making every effort to ensure the refurbishment work is done as quickly as possible. Let me introduce myself as your prospective candidate for Hersham. I am Sandra Thompson (nee Mills), known by friends and family as Sam. 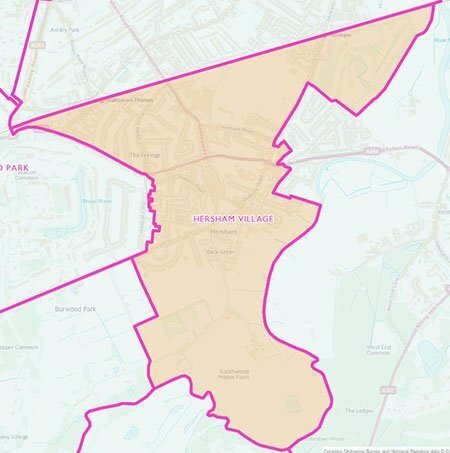 I was born and raised in Hersham, where my parents still live. My children went to Burhill Primary School, and later finished their schooling at Rydens. I now live in Molesey with my husband. I have 2 Adult children and 4 Grandchildren. My career has been mainly administrative posts. I work in Hersham and for the last 15 years have been an Administrator and Project Manager for the RC Sherriff Trust, a charity supporting the Arts across the Borough of Elmbridge. My work involves working with all ages on arts-related projects – from school children to over 60’s Groups, and includes singing and art workshops specifically aimed at maintaining social inclusion for those who may be in danger of isolation as they become older. In the late 1990’s I was a Ward Councillor for Hersham North. 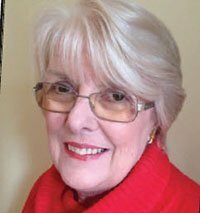 Later I moved to Walton and became an Independent Councillor for Walton Ambleside, so I have a good working knowledge of the way local government works in Elmbridge. Wheelchair access on the Hersham Riverside Park so everyone can enjoy our countryside. Provision of more Social and Affordable Housing. Free Parking on a Saturday to encourage shopping in our local town and village centres. More litter bins provided and better cleaning of the streets. Continuation of free tennis in the Parks. Provision of more facilities for younger people, including a new Skate Board Park in Hersham. Protection of the Green belt and open spaces. Improvement in local Train and Bus services. Monitoring of Planning Applications so that they do not impinge on neighbours. Provision of a permanent Traveller site in Elmbridge to stop the Summer Visitors. Provision of a Changing Room and Refreshment Kiosk in Hersham Recreation Ground. Working to keep council tax rises below the rate of inflation. Introducing Public Water Fountains to reduce reliance on plastic bottles. I look forward to working with the other councillors in the Residents Group to create a Brighter Better Borough. Currently I am on the Customer Services Committee for PA Housing representing PA Housing Residents. Over the years I have been on various Committees for a variety of Groups. Like so many people that have lived in Hersham over the years there still remains a Village atmosphere, which is very precious to me and to so many residents. I aim to keep it that way and look forward to your support. I look forward to meeting you both during the election and afterwards. Local residents successfully fought the outrageous proposals consulted on under the former Liberal Democrat and Residents political parties administration to build on our Green Belt. Our new Local Plan will focus on non-Green Belt sites, providing homes without sacrificing our local environment. I am committed to respect and preserve our precious Green Belt. Geoff has lived and worked in the borough all his life. He has been closely involved in local matters for many years. 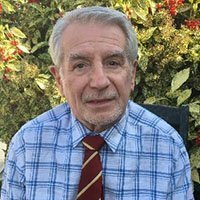 He has served as a borough councillor, a long-standing member of Claygate Parish Council and became its chairman in 2018. He has worked closely with our county councillor Mike Bennison to get local roads fixed. He has responded to a wide range of issues raised by residents, including housing, hedges, trees, parking, and planning concerns. 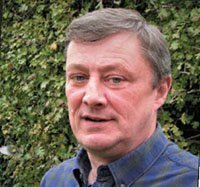 “My experience on the parish and borough councils has taught me that the threats to our local area come in many and various ways. The most recent threat was to our Green Belt and came from the Residents’ Association political parties and Liberal Democrat coalition administration which controlled Elmbridge Borough Council when it consulted on building on three large Green Belt sites. These were rejected thanks to strong local resistance. My name is John Fryer. 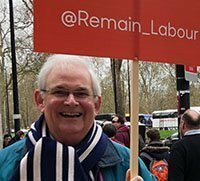 I am a retired University Professor and am respectfully seeking your vote to become an Elmbridge Councillor in the May 2nd, 2019 election. For me the foremost duty of an elected representative is to work full time to Preserve, Protect and Improve the community. To that end I would work on your behalf to encourage better Recycling, additional Recreation facilities and Renewed thinking about solutions to the issues that concern you as residents and taxpayers of Elmbridge. Thank you sincerely for considering my candidacy. He believes it is important that we feel safe, and is fighting for a better visual police presence and wants to stop local fire services being cut. He regularly speaks up on issues raised with him by residents, such as unsafe pavements, planning applications, street lighting and potholes. He says he is proud to represent his community and that his priority is the safety and well-being of people from all walks of life. Claudia has lived in Long Ditton with her family for over 20 years. 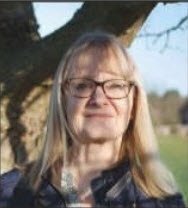 She is passionate about protecting our local open spaces and Green Belt, which are essential to the great quality of life we enjoy in Long Ditton. Holding Business and Marketing degrees and with a background in economic development and regeneration, Claudia is keen to help Elmbridge Borough Council deliver better services for residents. This is particularly important in these challenging financial times. Claudia gets things done. She acted on her desire to preserve and enhance all that is good about Long Ditton by standing for the Council last year. She came tantalisingly close, falling short by a mere eight votes. Since then she has continued to work tirelessly for our community and brought the Conservative leaders of Elmbridge Council to Long Ditton to meet residents and see for themselves the need to protect our Green Belt. If elected in May she will be active in a Conservative administration developing our local plan which protects our Green Belt. New homes should be built on brownfield sites and existing built-up areas. Claudia will fight for a stronger police presence and for good local facilities and opportunities for young people. Heathrow noise could be a problem for the future as new flightpaths are established. Claudia is already working with fellow Conservatives to campaign for fair dispersal of noise and independently verifiable and enforceable noise and air quality targets. Please lend Claudia your vote on the 2nd May, so she can be the hands-on, hard-working and accountable councillor Long Ditton needs. Protecting Long Ditton’s precious Green Belt and open spaces is my top priority. When the Liberal Democrat coalition ran Elmbridge Council from 2016- 18, it consulted residents on building homes over our Green Belt. 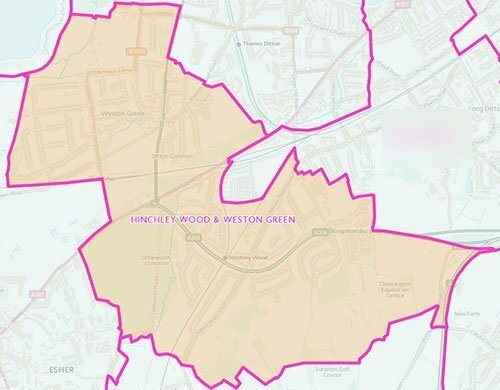 Sue wants a transparent council – informed by local concerns. Community leadership is at the heart of modern local government. Having previously worked in the charity sector I value a collaborative approach to affect real change for the common good. I would therefore work in partnership with local communities and organisations to create a fairer and more tolerant approach to the issues that affect us all. I have lived in Molesey for 16 years and before retiring I was a fundraiser in the charity sector. My main local issues are supporting the development of Molesey Community Hospital, supporting the local shops in Molesey and working to get more police back on the beat to reduce the crime rate. Also as someone who has suffered from a serious fire at a previous home I feel very strongly that we should have an adequate fire service. It was clear to me from conversations on the doorstep that the Jolly Boatman development at Hampton Court station was the top issue of concern. 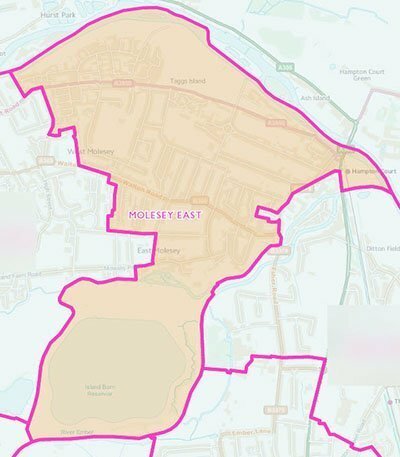 Many comments were made on The Moleseys Facebook page, but I decided to reach out to ALL our residents via a survey to canvass your views. Three quarters of residents who responded were opposed to the development with the main reasons being too dense, insufficient parking, height, and lack of affordable homes. Residents want to see a more sensitive development at this important site opposite Hampton Court Palace. Since I believe in listening to residents and that we should not accept second best at this site, I am opposed to this scheme. Xingang is 39 and married with three daughters. He grew up in northern China, in a town renowned for its harsh winters and famous ice sculptures. In 2001, he moved to the UK to study engineering at Imperial College London and later worked on regeneration projects for the Department of Transport. In recent years, Xingang switched careers and is currently a director in finance for an international bank. 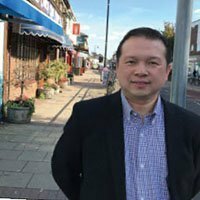 Having settled in the UK permanently, Xingang and his wife moved to Elmbridge in 2012 to raise a family among good schools, open spaces and a high quality of life – which Xingang is committed to preserve and enhance if elected to the Council. Xingang is strongly community-minded and motivated to provide a good example to his young children. He spends several of his days off each year working unpaid as a local magistrate. 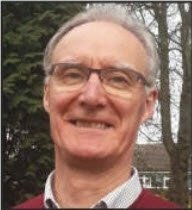 He has also been a school governor, a trustee of a charity caring for vulnerable and elderly people and gained local government experience as a parish councillor. Xingang also mentors business graduates and has published a book on career advice. Xingang said: “From speaking to East Molesey residents on the doorstep in recent months, I see the key local priorities as protecting our environment, standing up against inappropriate development, tackling aircraft noise and unauthorised moorings blighting our riverside. I am determined and have the expertise to ensure that Elmbridge Council spends your council tax wisely and provides excellent services – residents deserve nothing less. I will also push for improved local healthcare and prioritise support for Molesey’s shops and businesses. The Conservative-led council has made significant improvements in protecting our beautiful green spaces including Hurst Park, Molesey Heath and our riverbanks. Being a proud resident of West Molesey, we will do so much more to ensure that we provide a fair balance for all users of our river and its banks. Last July, the Conservative council successfully protected our green spaces from unauthorised traveller encampments with a 3-year injunction. We will continue to do all we can, working with the Environment Agency and Surrey County Council, to keep our open spaces free and accessible to all. My first job was a warehouse worker. I am a humble man from humble beginnings. I have always believed that hard work and a clear, concentrated focus allows anyone to improve their lives when they are willing to make that effort. You might have seen we walking our twin labradoodles on Hurst Park, or on Molesey Heath. There is a large community of pet owners and I know that to many of you, they are your pride and joy. 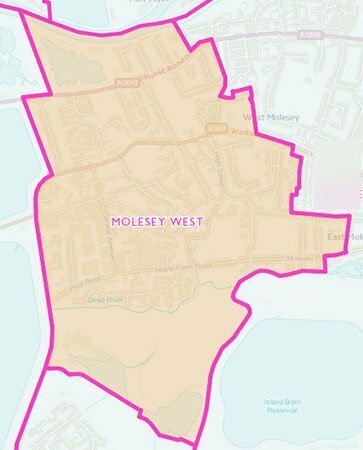 Come up to me and let me know what you think about the issues that affect you in West Molesey. I am first and foremost a listener. 30 years’ experience in leading teams in British and international logistics was achieved through allowing teams to thrive. Listening to your needs, and responding, are what I am committed to do, should you choose to vote for me. As a successful businessman I will be able to focus my skills on ensuring that we spend your money wisely, whilst continuing to provide the level of services you need. Standing as a Conservative candidate in West Molesey, where my wife and I are proud to live, would give us a voice at County and Parliamentary levels. Listen to what our West Molesey residents want and working hard to make sure it happens. It is your voice that counts, your money that is spent. Protect our environment, including our beautiful river, green areas and parks. So much has been achieved, but there is more to be done, and we will do it. Protecting our Green Belt is our priority. Excellent services, delivered cost effectively. My business experience, in both large and small businesses, gives me a keen eye for cost control. Creating ongoing efficiency within our council and saving your money. My background is in logistics and I will apply what I have learnt to my new role. Support our voluntary services. The wonderful people who provide such valuable services to our community will have my full support. Support a safer and secure community. We all have the right to enjoy West Molesey, free from anti-social behaviour. I remember the days when we had local beat bobbies in Molesey but unfortunately national Tory government austerity cuts has put paid to that. I find it very sad that we have food banks in elmbridge a very affluent area and as a supporter of Labour core values if elected I will represent the many not the few. We are fortunate to live in an attractive part of the country and I want to keep it that way. Our area is under a lot of pressure to accept new development. Whilst there should be homes for local people, this needs to be managed. New homes and more people mean more traffic. This has become a significant issue in many local roads. Speed of vehicles, parking and congestion are daily battles. Working with the ward’s other Councillors, I will press forcefully for these and other concerns in Oatlands and Burwood Park to be given the attention they deserve. Local services are also under pressure and your Councillors must be able to rise to the challenges this brings. The chaos which ensued following the botched introduction of the new waste and recycling service by the then Liberal Democrat/Residents’ Association coalition demonstrated the need for focussed and capable leadership. My time as a Councillor in another authority taught me how to work with officers to plan and work within local government budgets. As a former Councillor and in my professional work with Members of Parliament, I have organised and led projects, worked with people from a wide variety of backgrounds and managed large teams of volunteers. 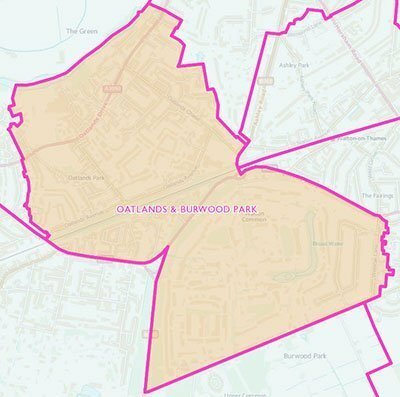 I cannot promise to solve the concerns of everyone in Oatlands and Burwood Park but I will be responsive to, and supportive of, residents and represent you in the best way possible. I have lived in Oatlands for over twenty years and wish not only to maintain and enhance the quality of life many of us enjoy but also improve life for those less fortunate. Keeping Development Manageable Our area is highly rated for quality of life. We have green spaces, good schools, low unemployment and relatively low crime. As a result many people want to live here which puts enormous pressure on housing, services and traffic. Demand for housing must be carefully and sensibly managed. We need affordable housing for local people but must resist intrusive over-development which is a significant issue in Oatlands and Burwood Park. More housing and more people increase traffic and demand on local services which must be addressed if Elmbridge is to remain a desirable place to live. Put Oatlands and Burwood Park First. The interests of our area will always be my priority. I will support and argue for the services and facilities we need and deserve. Resist OverDevelopment. Whilst we need affordable homes for local people, I will stand up to any plans for excessive and intrusive over-development. Improve roads and parking. Condition of our roads, speed of vehicles, parking and traffic congestion are increasing problems. I will press Surrey County Council for measures to mitigate these issues. Champion local shops. Small businesses form the backbone of our communities. I will support initiatives to help retailers in Oatlands Village, Queen’s Road and the town centre. Weybridge Hospital. The redevelopment of this site is a superb opportunity to provide the community with a range of new facilities. I will work to ensure we get the best possible proposals for local residents. Local money for local people. The Council’s money is our money. I will strive to ensure that Council funds are spent sensibly and efficiently and that residents receive the best value possible. Annie is proud to live in Oatlands, it was the sense of community that attracted her to the area and she believes listening to residents and working collaboratively is the way to affect real societal change. Annie works in health and social care and understands the importance of providing universal services to foster safety and wellbeing from a young age, and she is opposed to the cuts to the local Children’s Centres and Fire Services. 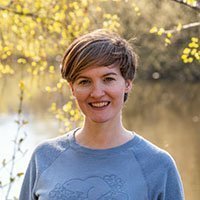 Annie has been volunteering in a local project to secure the long term sustainability of Broadwater Lake and she is committed to protecting and improving our local water ways and green areas, including thinking about how we can support local residents and businesses to reduce plastic waste. Annie believes the Green Party are the only party taking climate change seriously and working towards a better and more sustainable future for all. 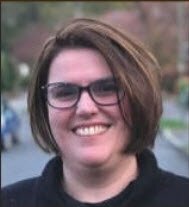 Adriana has lived in Oatlands for 23 years and is an active member of the community. She has worked in higher education as a university lecturer and course director. In addition to teaching and research, Adriana has helped many students and staff to navigate through many changes in the education system. Locally, she has worked as a volunteer “computer buddy” at the library, helping people who lack digital skills to realise the benefits of the internet. Last July, I promised that I would press for a feasibility study to be conducted to examine options for improving access and safety for all users of the Blundel Lane Railway Bridge. I am delighted to report that following pressure from myself and meetings between Officers of EBC and SCC, the Local Committee has agreed to make funds available to conduct a feasibility study into traffic management options during 2019. I do not pretend that it will be easy to find a permanent and fundable solution to improve this crossing but the traffic management feasibility study is the first necessary step in this process. I was honoured to be elected as an Elmbridge Borough Councillor in last July’s by-election and join Andrew Burley and Oliver Chappell as one of your three councillors for Oxshott & Stoke d’Abernon. Since then, I have been an active member of the South Area Planning, Audit & Standards and Licensing Committees. 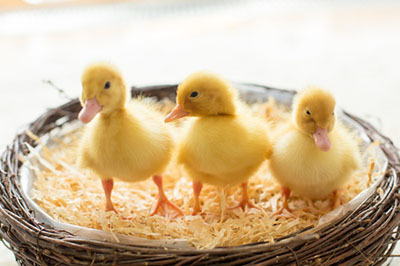 On the Planning Committee, I have been involved in some difficult decisions. I have helped a number of residents resolve a wide range of planning issues. I recognise the need to build more homes, at a higher density, within Elmbridge but at the same time, I am adamant that this must be done in a manner that does not destroy the character of our communities. 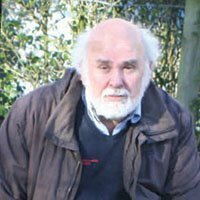 I have lived in Stoke d’Abernon with Mary, my wife, for more than thirty years. My three children attended the Royal Kent School in Oxshott. I was a senior manager in a large multi-national energy company until my retirement in 2017. I have found that the skills and experience that I gained in my working career have been invaluable in my role as a councillor. I have always been active in our local community. I continue to be involved in numerous voluntary roles. 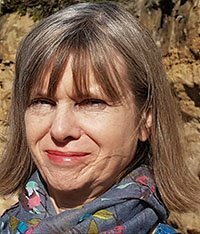 I am a trustee of Stoke d’Abernon Charities, a director of the Walton Firs Activity Centre in Cobham and I have recently joined the Friends of Oxshott Heath committee. I am also a trustee of my former company’s Pensioners’ Benevolent Association. I have two Labradors and I am out and about with them in the ward each day. I am determined to protect our open spaces and Green Belt. 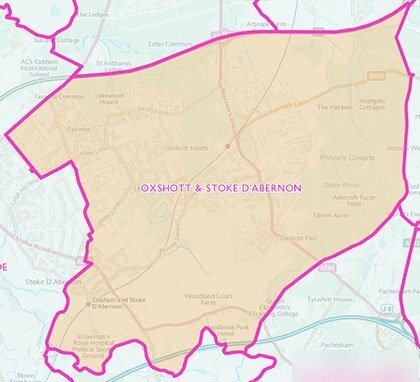 Last July, I said that if elected, I would be a voice for Oxshott & Stoke d’Abernon. I restate that promise. I will continue to listen to your concerns, act as your representative and be accessible to all residents. If re-elected, I will work to ensure that Oxshott and Stoke d’Abernon continue to be attractive and thriving communities in which we all want to live and work. Jeremy and his wife Sophie moved to Thames Ditton in 2001. Their older children, Thomas and Evie, attended Hinchley Wood Secondary. However, Edward, currently in Yr6 at TD Juniors, is one of 38 from 120 children without an allocated place. School places are only the tip of the iceberg, though – ongoing education, welfare and policing cuts are threatening our well-being. Elmbridge needs an integrated answer to the great harm done by the government to our local communities. Jeremy works with Monica Harding (Lib Dem Parliamentary candidate who will oppose Dominic Raab) for a more effective local and national partnership. Local shops are the lifeblood of our community. Shop keepers struggle to compete with chain stores and the internet and they deserve our support. If elected I will argue for the continuation of free parking periods on Saturdays, since this encourages the use of our village centre and reduces parking in residential streets. We must also maintain a wide variety of independent businesses in Thames Ditton to continue to pull in shoppers. I will support that and also the creation of a Council task force to explore ways to boost our town and village centres. I will also help start-up businesses to access council development grants. About Rory: I am delighted to be your Conservative candidate at these important Elmbridge Borough Council elections. I have lived in our borough nearly all my life and know Thames Ditton well. I studied politics at Kingston University – and attended Kingston Grammar School and Brooklands College before that. I am married and currently work at Heathrow Airport. Outside of work I am a member of Surrey County Cricket Club and a qualified umpire. I enjoy film, music from the 1960s to 1990s and 20th Century history. I passionately believe that politics should be about improving the lives of residents. As Chair of the Policy Forum of Esher and Walton Conservative Association, I feedback local members’ views to the national party, helping to keep central government more in touch with local issues and views. I know that renting or buying a home in Elmbridge is beyond the reach of many young people. So I will support our Conservative Council in enabling more starter homes on brownfield sites, while fighting to retain the precious open spaces that are essential to the quality of life in Thames Ditton. My other priorities will be to support our town centre shops and press for a stronger police presence locally to address concerns about burglary and anti-social behaviour. Since the Conservatives regained control of Elmbridge last May, we have introduced a legal ban on unauthorised traveller camps and flytipping and reversed the tennis court charges introduced by the last Lib Dem/Residents Associations’ political party coalition administration. We are continuing to drive efficiency and improve services. Please vote for me on 2 May to keep your Elmbridge in safe hands. Putting Thames Ditton first. I will be YOUR Councillor – accountable to you, vocal and active on your behalf. 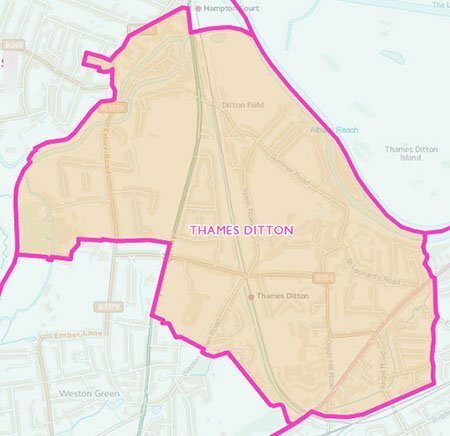 I will keep you informed and fight for Thames Ditton at Elmbridge Council. Protecting our environment. I will campaign for the new homes we need for first time buyers and key workers to be in built-up areas, NOT on our precious Green Belt. A safer Thames Ditton. The Conservative Police and Crime Commissioner has pledged to recruit 100 new officers. This is great news – I will press for more visible policing locally to tackle crime and anti-social behaviour. Support for our shops. Our village shops are the lifeblood of our community. I will tirelessly support and assist them, actively lobbying for grants and other help for them to thrive. Increased influence. I will be a strong voice for Thames Ditton within the Elmbridge Conservative administration and with our MP. The demise of the High Street is a nation-wide issue and particularly relevant in Walton. We know that the number one reason people shop locally is for convenience, so we need to make sure people are aware of initiatives like 3-hour free Saturday parking. When Aldi was last in Walton, it increased footfall in our local shops by 5-10%. I’m very much in favour of Aldi’s proposed return to Walton by moving into the Carpetright store. I will also champion the BID (Business Improvement District) as an opportunity to help local businesses grow and make a better shopping environment for residents. Having lived in this area all my life, I’m passionate about giving back to my local community. 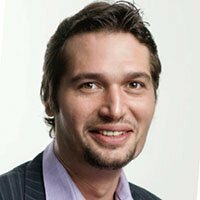 For the past 15 years I’ve worked for some of the world’s leading IT and telecommunications companies. As a technical project manager, I intend to use my business skills to listen and respond to the needs of our community and work with the Council to drive through programmes of change that benefit all. There is already an abundance of community spirit in Walton. My vision for Walton is that residents continue to be proud of their community and want to shop and socialise locally. I will promote initiatives that help our High Street, grow our local businesses and keep our residents safe. Communication is key. As a councillor, I will keep my finger on the pulse of residents’ issues and opinions through multiple channels. For example, holding monthly surgeries in the library, listening and engaging on social media, responding to emails and phone calls. As a member of a local darts team and involvement in celebrations like the Festival of Light, Remembrance Sunday and Heritage Day, I’m active in our community. I enjoy listening to live bands in local venues, having inherited a passion for music from my mother, who taught piano in local schools for many years. Outside of work, I spend time with my partner and her daughter. I am an enthusiastic sailor and have taught many children and stroke-victims basic sailing skills. I have a keen interest in British and Polish history and speak Polish and German. Please support me on 2nd May so I can help to keep Walton a fantastic place to live and work. Stand up for Walton’s Interests. I will have an ‘open ear’ to residents’ issues and opinions through surgeries, social media, email, phone and will champion local issues. Protect our Green Belt and our Environment. I will challenge overdevelopment and planning applications which do not have sensible design, appropriate density and adequate parking provision. Save Taxpayers’ Money. I will scrutinise the spend of council tax to ensure that you receive transparency and value for money, whilst retaining our vital frontline services. Champion our Local Shops and Businesses. I strongly support our local shops, businesses and WoTTA. I will support the proposed Business Improvement District and the application to bring Aldi back to our High Street. Make Walton Safer. Crime figures in Walton have improved since the Public Spaces Protection Order was introduced. I fully support its extension for a further two years and will work with our local police to ensure Walton is a great, safe place to live. Improve our Roads. I will work closely with our County Councillors Rachael Lake & Tony Samuels to get much-needed repairs to our roads. I have lived in Walton all but three years of my life. I was educated in Walton and I worked in the town. I will fight to reinstate free bus travel for the disabled and urge the overhaul of the inadequate bus service. I will campaign to freeze the council tax. Elmbridge has the highest Council Tax in the country yet constantly increases it. We desperately need a Labour voice on Elmbridge council and if elected, I will promote with vigour the interests of all the people of Walton and ensure that the voice of reason is heard. 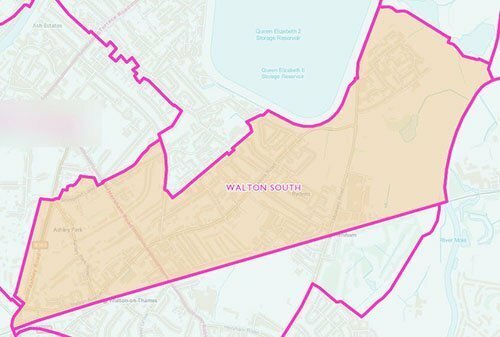 I am a Walton resident who is standing to be a voice that represents local people. Elmbridge has the highest Council Tax in the country and what do we have to show for it? Pot holes, poor local transport, ever-increasing child poverty and foodbank usage at heart-wrenching levels. If elected, I will fight for a Council Tax freeze to help those struggling due to the cost of living crisis. You have three choices in this election. The Conservatives, who have failed locally and nationally, the Lib Dems, who cannot win here, or a credible alternative. On May 2nd vote Labour. Total transparency and accountability are vital in his work. The same applies to councils i.e. showing where every penny is spent and how it creates value. We must be more engaged in community projects and spending decisions. 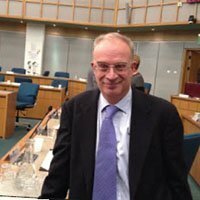 Supporting Local Businesses: As a former Chairman of the Elmbridge Business Network, supporting our local businesses has always been important to me. Our town centre is going through a tough time and we all need to do our best to support it. I’m delighted that the Conservative administration at Elmbridge Council has funded the development of a Business Improvement District (BID) project for our town. This money is for the Walton-on-Thames Trading Alliance, who have developed the BID, to undertake a feasibility study. If a BID is created this will drive new investment to enhance and adapt the town centre over the next five years to ensure Walton’s future vitality and viability. Successful BIDs in Surrey have helped increase footfall and spend, reduced business costs, enhanced marketing and promotion as well as giving businesses a greater voice in town centre environments. I am grateful for having had the opportunity to represent you for the last 22 years. My experience of local issues is extensive, whether it has been traveller incursions, parking matters, planning or social issues. I always do my best to help, including hands-on support visiting residents and seeing first hand those issues that concern them. Walton is always my number one priority. 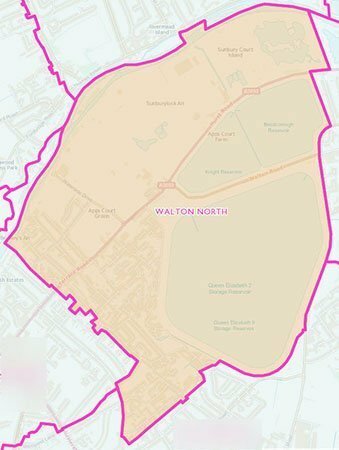 It is important to me to preserve all that is good in Walton North and the services that are available to residents whether it be GPs, shops and leisure facilities for all ages. Over the years the Conservative administration at Elmbridge has improved and enhanced many of Walton’s facilities, including the Playhouse, Walton Centre for the Community, Sports Hub and Community Hub (home of the CAB). It was my great honour as Mayor of Elmbridge last year to open the excellent Sports Hub next to our Xcel Leisure Centre. It has state of the art athletic and field facilities together with the football pitch and practice pitches and is now home to Walton & Hersham FC and Walton Casuals FC. I believe in not only being supportive to the community but active and to that end 10 years ago I established the Elmbridge Community Fishing Academy for young people aged 8-16 years. This has been supported by Apps Court Farm and local volunteers. This has given confidence and social skills to numerous young people over the years. I am seeking your support to continue working for you and our local community. I will always work for Walton North and our town to make it an area everyone can be proud to live in. I will champion our green spaces and recreation grounds. I have pressed for the installation of the new play area at the Leisure Centre. The proposed Heathside School off Waterside Drive is set to open in 2021. I will carefully scrutinise the planning application to ensure residents’ views are properly heard throughout the process. I will continue to support the Walton-on-Thames Trading Alliance who do excellent work in promoting and improving Walton and our town centre. I support the Business Improvement District bid to revitalise our High Street. I will continue to actively support and encourage all work with young people in our area. Ten years ago I founded and continue to run a local outdoor youth engagement scheme that develops young people’s self esteem and confidence. I will continue to support residents with planning issues that affect them. Hello, I’m Vera-Anne Anderson. I was proud to be a nurse in our wonderful NHS, until cuts caused many senior nurses to stop work. Elmbridge has the highest Council Tax in the country, but what are we getting for our money? Our nearest police presence is an oﬃce hours only council oﬃce desk in Esher. The ﬁre station in Esher has been earmarked for closure and across Elmbridge we often have just two undermanned ﬁre engines available at night. I will fight to freeze council tax. I will also work passionately to reopen any local children’s Sure Start centres that are threatened with closure. 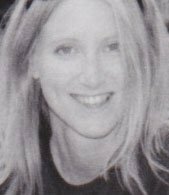 Chris moved to Walton with her family in 1992 and has been actively involved with local issues ever since. All three of her children grew up in Walton and attended local schools. 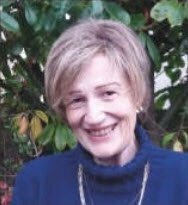 She was a member of the local steering group which introduced the first community wardens to Walton and was Chairman of the Police & Community Partnership Group (PCPG). She became a member of the school PTA and was a school governor at Grovelands School. 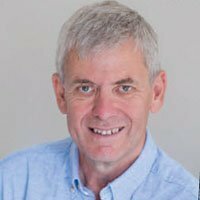 Since being elected in 2007, Chris has been an active contributor on many Committees, in addition to being a member of Cabinet with responsibility for Community & Safety. 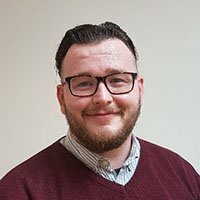 Chris worked closely with Surrey Police, Surrey Fire Service and Surrey County Council to bring the best service and support to Walton. Chris has championed residents’ interests on many issues that would have had a negative impact on our area. These included an active role in the rejection of both the Weylands proposal for a new industrial estate and the Drake Park 1000-homes application. Chris said “If re-elected, I will continue to work in the best interest of Walton residents. I will vigorously oppose the latest incinerator proposal for Weylands. I will continue to protect our Green Belt, and strive for reasonable parking and local service charges. I will also continue to support building affordable housing, whilst protecting over-development. I will work as a team with our County Councillors, MP and Police and Crime Commissioner on local issues that matter, ensuring we get the best services for our town”. Providing Affordable Housing. I will support building affordable homes for our young adults and key workers where appropriate. I will oppose bad schemes and protect our parks and green spaces. Putting Walton First. I will be YOUR councillor – accountable to you, vocal and active on your behalf. I’ll keep you informed through regular newsletters and always be accessible including at our monthly surgeries. Safety in our Town and built-up areas. I am concerned by the increase in local crime. I will work with our local Police and the Police & Crime Commissioner to tackle crime and anti-social behaviour. Support for our Local Shops and Businesses. These are the lifeblood of our community. I will tirelessly support and assist them, actively lobbying for grants and other help for them to thrive. Protecting our Green Belt. I am committed to protect our precious Green Belt and open spaces, preventing overdevelopment. Working with our Conservative Team. I will work with our MP, County Councillors Rachael Lake and Tony Samuels, and my fellow Borough Councillor Malcolm Howard. We work jointly on issues or concerns raised by residents. Margaret is married to Peter and has lived in Walton for over 40 years, where she brought up her family. Until she took early retirement, Margaret worked as an analyst for a logistics company near Heathrow Airport, driving over Walton Bridge every morning. 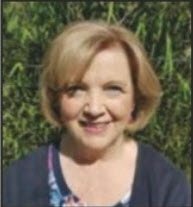 She has been involved in many voluntary projects, from visiting young offenders in HM Feltham Prison to helping with the Elmbridge Credit Union. She brings a wide experience of life – having been a commuter, a working mother and her work with young people. She is tenacious, asks awkward questions and demands better for the people of Walton. 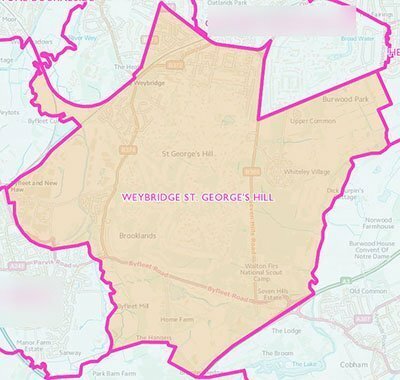 Polling District Letter NA : Weybridge Riverside West : Roman Catholic Church Hall, Portmore Way, Weybridge, KT13 8JD. 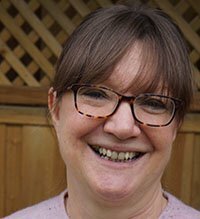 Ashley has lived in Weybridge for over fifteen years, teaching physics at a local secondary school, and enjoys being an active member of Weybridge Rowing Club, cycling and singing in a local choir. He loves living in Weybridge and will work to make his town centre a healthier and safer place by reducing air pollution whilst making improvements for cyclists and pedestrians, seeking to re-establish lost NHS services, developing the library and community centre facilities and retaining the children’s centre, refusing planning permission for out-of-proportion and out-of-character development and protecting the town centre’s green spaces. Local services are under the spotlight more than at any time in recent history. To manage financial pressures and drive efficiency, your councillors must be focused on, and provide, excellent services. The woefully poor introduction of the new refuse service by the LibDem/Resident Associations’ political parties coalition two years ago showed the consequences of lackadaisical leadership. My background of senior roles in major international energy companies taught me to plan, organise and manage complex projects. It also highlighted the importance of delivering what has been promised. My focus on Human Resources equipped me to work with people from a wide variety of backgrounds to seek solutions, often on sensitive issues. I cannot promise to solve all the concerns of Riverside residents, but I can promise to be responsive and supportive to all those who seek my help. Working diligently with other councillors and Elmbridge Officers I will forcefully represent the interests of the Riverside Ward. The division of responsibilities between Elmbridge and Surrey County Council can often be used as an excuse for not getting things done but I will work closely with Tim Oliver, your councillor and Leader of Surrey County Council, to provide a joined-up service. I have been a resident of Elmbridge for thirteen years, ten of them in Weybridge. We are fortunate to live in such a beautiful area that attracts many new people to come and live here. I’m committed to making sure your council responds effectively to the increasing pressures we face because of our town’s popularity. The tragic fire at Weybridge Hospital in July 2017 resulted in the loss of our vital community asset. Thankfully we now have some of the services back in temporary structures, but permanent redevelopment provides the chance to enhance our town’s facilities. I will work with other councillors to ensure this once-in-a-generation opportunity is not lost and that residents’ views are reflected in the feasibility study. In addition to new facilities to replace the Walk-in Centre and GP Surgeries, the site could also include a new library and community centre. With a well developed and coordinated plan, the benefits to Weybridge will be considerable. Polling District Letter PA : Weybridge St. George’s Hill West : Portacabin, Station Car Park, Top of Brooklands Road, Weybridge, KT13 0UN. 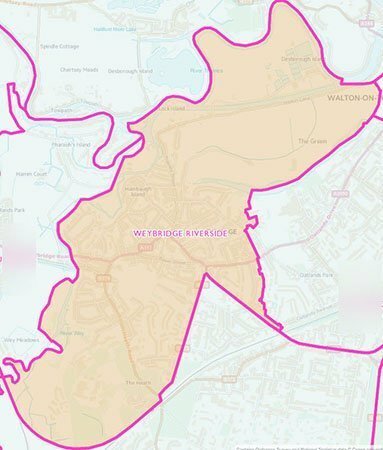 Polling District Letter PC : Weybridge St. George’s Hill Central : St. George’s Hill Lawn Tennis Club, Warreners Lane, Weybridge, KT13 0LL. It is essential that promised improvements to the roads and traffic management in Weybridge St George’s Hill take place soon. Residents are tired of waiting. For example, the top end of St George’s Avenue desperately needs full resurfacing. Money has been allocated by the M3 Local Enterprise Partnership but the work must be delivered promptly. My County Councillor role will help here. I am delighted that Elmbridge Borough Council has agreed £100,000 to meet the requests from residents in the Triangle for HGV bans, 20 MPH speed limits and changes in Princes Road and Pine Grove. These are most welcome and I will be pressing hard for early implementation. John is a retired oil industry executive and a local resident for over 30 years. He has been a Councillor over many years and has always tried to provide a first-class service to the residents he has been privileged to represent. 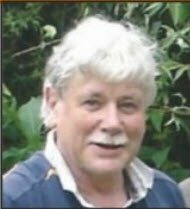 In 2017, he was elected the Surrey County Councillor for part of Weybridge St George’s Hill, including the treasure of Whiteley Village. He is now seeking your support to serve the entire ward on Elmbridge Borough Council and work closely with Cllr Charu Sood and County Councillor Tim Oliver.